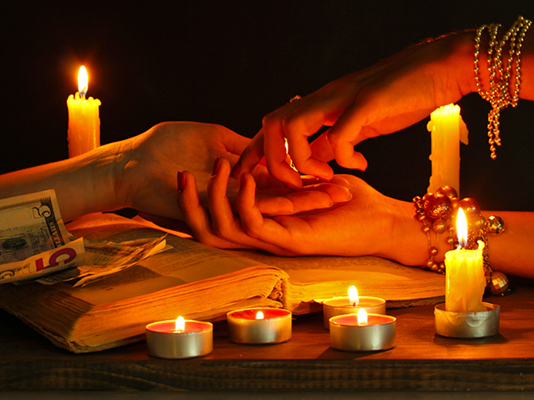 Divination for love since ancient times was considered the most useful in everyday magic. Themselves wondering turned these into a beautiful divination rituals. To recall, for example, the serpent in the mirror or brooms, floating on the water in the feast of Ivan Kupala. Start guessing with the simplest option, which does not require any special knowledge in the field of magic, initiation rites and other manipulations. One such fortune - "Painted heart". It will require only paper and pen. For this divination should make the name of the guy you are interested in. Take a sheet of white paper in the cage (will fit a regular sheet of notebook or Notepad) and draw on it a heart. If you are right handed, draw the heart with your right hand and if left handed - left. Then stroke in the drawn heart all whole cells of four located next to each other. This will leave only white, unshaded cells in the heart, by their number and shall determine the result of divination, that is, it refers to you, the guy you wondered. If you still have one cell of a guy respects you, two cells - he wants to be friends, three - you are sympathetic to him, four, he gets jealous five - you often dream about him in a dream, six - the guy is indifferent to you. If you do not leave any unshaded cells, you can be sure that the guy loves you. Very popular divination "Likes, dislikes". It will give to know the reptile attitude of her lover towards her. For this you need to pick up a deck of cards, shuffle it and focus on my thoughts about my favorite guy. You should try to submit it, this is a very important point in this guessing. Deck of cards for divination shall consist of 36 cards. Remove the top card and place it on the table upside down next to it put the next card. You should have six cards. Under them in the same way as well lay out another row of cards. In the scenario cards of the same rank will be placed diagonally, they need to remove and choose other cards from the deck. After you have completed two rows, put the remaining cards in the third and the subsequent series, also removing and replacing all similar in face value of the card. Next, collect the cards, starting with the latter. Do this carefully so as not to confuse the numbering. In the same way, lay out a new series, but now only five cards. Should follow the same steps. Then place the card in a series of four, three and finally two cards. The remaining pairs of cards count. If at the end of seven card guy thinks of you, six pairs – it changes, five couples – the guy thinks about you, four pairs – he misses, three pairs – he shows strong sympathy towards you, two do not even doubt that the guy loves you.